I am learning more in this decade of my life than in any other. It’s crazy how I could have lived over 40 years, been married over 20 of these years and have 3 grown children and actually have this epiphany that I’m finally freaking LEARNING things that matter. Maybe it’s cuz I finally have the time to do so! 🙂 In any case, this year I looked at my life in it’s entirety and measured what I was doing in my day to day that was making me truly happy. When I say “happy”, I mean that feeling you get when you are just HIGH on life. When you can’t sit still because you are jumping out of your own skin. That kind of happy. Do you even feel that feeling any more? So as I sat and truly reflected on everything at the end of last year, I found myself at the crossroads that I’ve been before…at just wanting to freaking DUMP everything I was doing that didn’t make me want to jump out of bed every morning, and start over. You know…like pressing “CTRL + ALT + DELETE”? That’s the feeling that usually plagues me every few years and other than feeling overwhelmed (which is a word I’ve come to despise) I never understood that it was simply because I wasn’t getting enough pleasure and happiness from my daily tasks and work. So here are the tips I have for you if you are needing to PURGE (or at least refocus) on the areas that are SUCKING life’s happiness and meaning from your bones and spirit. I wrote down every commitment that I was holding onto and how important each of these commitments were to me and my happiness and future. The one thing that stood out to me was that I needed to cut back on trying to juggle too many roles in my world. 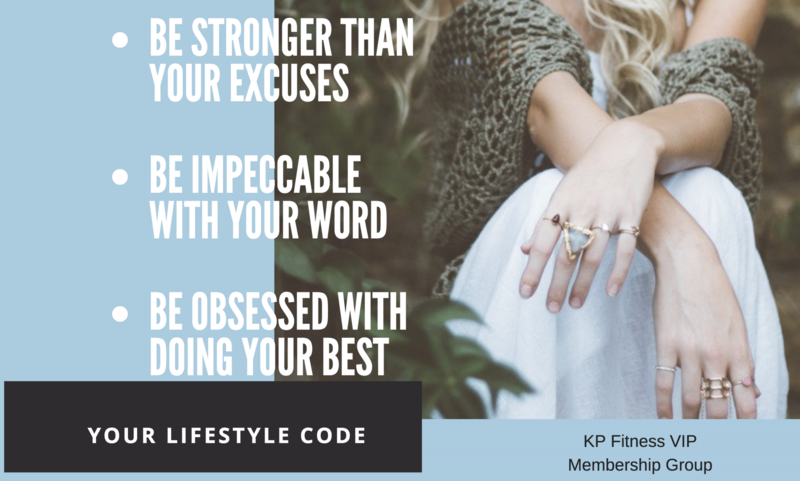 I knew in my heart of heart that I needed to let go of my hours of teaching fitness classes, in order to create more time in growing myself and in growing my at home business. It was much like the day I decided I needed to quit my job as a personal trainer. I knew how hard this would be for me. Here was a position that I held since I was just 18 years of age. That’s almost 30 years of teaching. That’s a part of me that I have known longer than before I was both a wife and a mother. This role always seemed to define me, for some reason. I felt valued, I felt needed and I knew I was helping others find their energy to do more. When I made the decision to give notice for my classes, I sat in my car in the gym’s parking lot and sobbed like a baby. This was a part of me. It may sound ridiculous but it was a LOSS. In order for me to grow into my next level of happiness and life’s roles that I knew would ultimately create more success and happiness for me and my family, I had no other choice. But it hurt so deeply. Whether you’re deeply invested in your career or starting a business, I’ve learned that successful people commit to certain decisions that help shape them into becoming the elite. Choose to make every moment count. Every day is an opportunity and a gift to master new skills and further our goals. Success comes down to having the right attitude and making smart decisions. I know I made a smart decision because my heart is happier and I can’t explain it more simply and fully than that. Here are 10 tips to help you find your own inner happiness again. 1. See the good in your life/job/work or find it again. Find ways to love the life you’re in. If you aren’t getting the happiness you once had, do some research on where you are being drawn to instead. Commit to letting fear be your motivator but don’t let it become your master when you approach a new opportunity or change in your life. Fear only shrinks our success. Measure your success by your work ethic. If all you are looking for is to simply make money, be careful as the need to make money can become a feeling of “needing to always create more of it”. It’s a feeling of LACK versus REWARD and this does not make for a happy life. Be committed to thinking bigger than you have ever allowed yourself. Always be grateful for the accomplishments but never satisfied to stop. Continue creating bigger goals along the way. It will take commitment to working consistently without breaks and interruptions. It’s only through consistent and diligent work, along with having patience and understanding, that we can continue to climb higher towards more success. 6. Be in love with what you’re doing. Decide to be passionate about what you do. Passion is the fire that ignites our desire to work harder. Just like a car can’t run without gas, our businesses cannot succeed if we aren’t passionate, focused, and hardworking. Having self-respect gives us pride in ourselves; brings more confidence in every area of our lives and brings about the feeling of true happiness through and through. It’s also important to treat others with respect and having integrity in all that we do in order to keep that self-respect. 8. It’s a balancing game. You cannot get where you want to go all by yourself. Learn to delegate activities and jobs. Knowing when to delegate means knowing your strengths and weaknesses. 9. Grow and nurture relationships. Be choosy when adding others to your team or business. When you find the right team mates and members, nurture them along their goals of success in order to keep morale high and infusing them with your passion, vision and purpose. 10. Always ask for feedback. Take it from me, don’t be a “know it all”. Professionals actively seek out feedback in order to grow. Every piece of feedback is a seed of knowledge, which is capable of furthering to expand both you and your business. Feedback forces you to keep an open mind and being available to new opportunities that may never have even been an option before. In order to be happier and more successful in business and in life, commit to making wise and self-aware choices. Our success is a direct reflection of our decisions, our attitudes and our thinking. It’s important to ask ourselves when our business isn’t where we want it to be, we must start making new decisions. In order to grow our work, our happiness; we must first grow ourselves. I believe this is exactly the next natural step for me too. 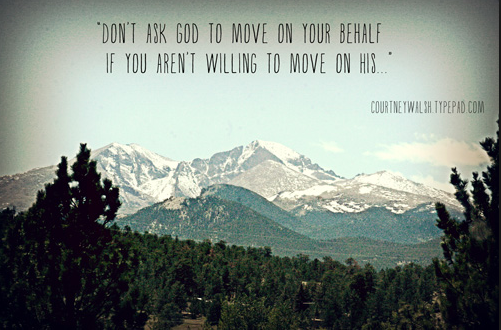 Today I write about the ability to move mountains. We tend to fall into society’s mold of what we should do and how we should behave. We start to lose focus of the open-ended dreams we had as children. The wonder of what is truly possible if we just decided to go for it. But something happens along the way. We start to doubt our awesomeness because we have stumbled. In those stumbles, instead of gaining confidence and finding another way, we lose focus and start to buy into the chatter going on around us. and so on. But it’s actually about breaking the mould that is “normal” to everyone else in finding our own greatness. What inspired you when you were young? What did your dreams consist of? Do you ever find yourself daydreaming about a “better life” or some deep-down desire that is weighing on you? What’s to stop us from going after it? Aside from everyone else’s opinions and “realities”; the only real thing standing in our ways is US. Now, life isn’t ever going to go as planned, right? We can follow the blueprints and do what everyone else is doing and somewhere along the way; things will fall apart. It’s not within our control and most times and it’s the way it’s supposed to happen for us (whether you believe in God, destiny or mother nature; this is true) but we can tend to self-blame ourselves and fall into a deeper hole of being “safe” versus acceptance and restructure. Safety is a good habit, if practiced correctly. Safety is about, well, being safe from harm. What it isn’t is, being safe from a challenge. Challenges and risks are part of life. If we didn’t risk anything, we would never change. But playing it “safe” can be downright boring and sooner or later, we will look at those who jumped in with both feet and are now enjoying some rather amazing results and wonder why not me? I had my own life mapped out, just like you did. I knew I’d be married and have a family. I knew we’d be church-attending, God-fearing people. I knew that we’d work to do our best and provide for our family and raise the kids to do pretty much the same thing we did. What I realize now, is that my “dreams” were kind of vanilla. They were downright BORING. What I missed out on were the “details”. Details are never included in our daydreams. I missed out on the fact that our family would have adventures. What I missed out on was the fact that we would attempt to cross the great big blue ocean and reside in another country; not once, but twice. I missed out on the fact that my children had their own wants and needs and desires and that we would unite as a family and make decisions that I could never have dreamed up. I missed out on the fact that the economy would tank – and in doing so – wipe us out financially and emotionally and make us re-think our “normal” lives. What I’ve learned from our challenges and learning curves weren’t that life was cruel (although at many times I was guilty of thinking this); or that we made some “wrong turns” (which is what most people might think) or that we had to throw up our hands and concede to life’s challenges. What I learned, instead, was that this was our LIFE. This was how it was supposed to be written. It was glorious, it was gut-wrenching at times, it was amazing, it was humbling. But all in all, it taught me lessons I could never have daydreamed about. My family has never understood each other better. Each of my children have learned lessons that my husband and I could never have “taught” them in our perfect daydreams. We have become closer and more understand of each other than I could ever hope to be. Our hard work in digging in and finding a way to get out of our hardships and through the challenges we faced, have forced us to be better and more capable people than we could ever have thought. I am a control freak. I love a challenge. But it has always needed to be in “my” control. If things didn’t go my way, I’d seriously freak out. I suffered from ridiculous panic attacks, that simply put, were brought on by my need to have things to “my way”. 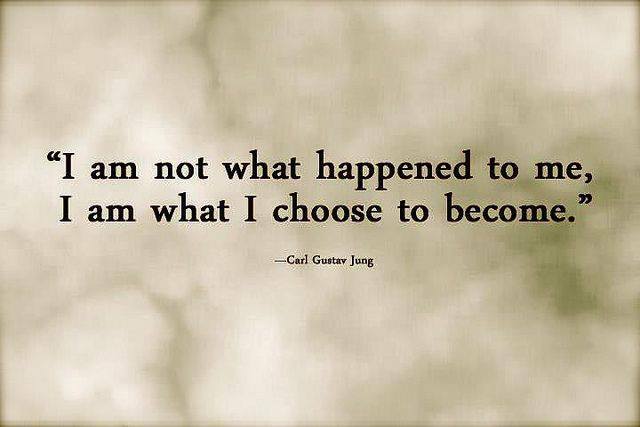 I never allowed detours or changes in what needed to be. Through the past few years, I’ve learned to have faith and do what needed to be done…but also in seeing that changes will happen and I could either fight them and have a tantrum about it; or I could re-assess the situation and make another plan. I needed to learn patience and acceptance. And these lessons were soooo hard for me to learn. It was in just letting go of my “control” and trusting in the fact that my life was on the right track with God’s lead, that I was able to find my own peace. I now suffer less anxiety. I feel more love and compassion for everyone in my life. I want to do more and be more and accept more of what is. Life didn’t go as planned; but what fun would that be? And what type of person would I be if that was the case? Be you. Be willing to go through challenges and learn from them. Be willing to accept that there will always be challenges. Learn to adapt and to grow and to thrive in those challenges. That’s the way our lives are meant to be lived.